Miss Bates knew Deanna Raybourn in her incarnation as the creator of the Lady Julia Grey mystery series, one Miss Bates read and enjoyed. But mystery novels, in comparison to romance novels, always make Miss B. antsy. Truth be told, she was more fascinated by the Lady Julia/Nicholas Brisbane courtship and coupling than she ever was by the whodunits. She can’t ever recall the dominant mystery thread that is the core of any of the Lady Julia novels. What she does remember, with reader pleasure/pain, are the antagonistic, oblique attraction and temperaments of the leads, the curiosity to know more and more of their intimate encounters and emotional vulnerabilities. Raybourn is so so good at withholding from the reader. This attracted and repelled Miss Bates, had her anticipate and yet avoid the latest release. 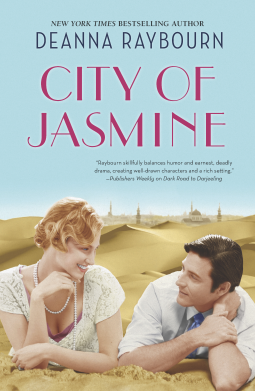 In her latest novel, City Of Jasmine, it appears that Raybourn loosened those maddening elements and allowed her hero and heroine to eke out a little more of themselves and their relationship to the reader. 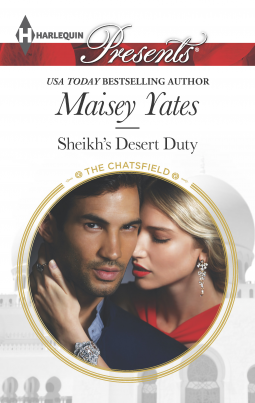 In this sense, and coupled with Raybourn’s lovely writing and the strong, amiable voice of her heroine-narrator, City Of Jasmine was a better, more satisfying read for Miss Bates. It was also a tighter narrative than the Julia Grey mysteries: it didn’t get as bogged down in details and developped mystery elements with greater and more engaging alacrity. She would venture to suggest that if you like your mysteries with their cross-hairs on the relationship rather than the body, you’re going to relish this latest from Raybourn. It captured Miss Bates … though she still experienced some frustration with it. When “the world is too much” with Miss Bates, when she’s “in disgrace with fortune” and has had the work month from hell, when Friday rolls around and fatigue comes cheap … she reads an HP. HPs are Miss Bates’s preferred escapist reading: the caricatured masculinity of the uber-hero, the moral goodness and myriad virtues of the often-misunderstood heroine (even heiress-party-girls are good and secretly self-sacrificing). Setting is set at minimum and the over-wrought physicality of the hero and heroine’s attraction is strung so tight Miss Bates hears zinging as she reads. 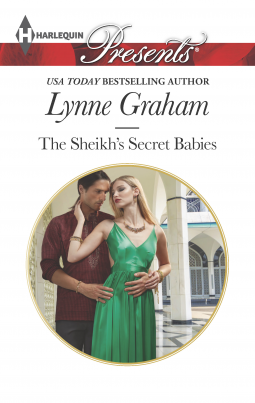 Thus was Sarah Morgan’s The Sultan’s Virgin Bride. Smooth, coconut-flavored chocolate, an espresso as dark as our hero’s eyes and Morgan’s PC-not tale and Miss Bates rejuvenated on a weary Friday night. When Saturday’s grey-fogged incipient dawn crept into her room, however, she woke with thoughts whirling. She’d enjoyed every moment of her HP; however, niggling and annoying considerations sidled into her consciousness. She’s going to impose them on you, dear reader. Bear with her. This be reader response.